Campaign Monitor is an email marketing tool. Their automation software helps businesses segment and tailor their emails to reach the right people at the right time. 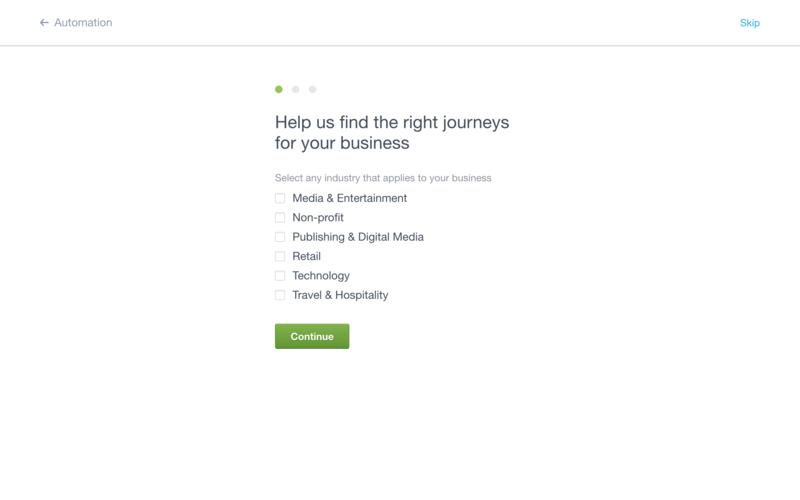 When getting started with email marketing, the concept of creating a journey can seem daunting. If you've never set up an email campaign at all, it can be tricky to know where to start or even which customer actions should trigger different emails. Campaign Monitor offers inspiration to new users by creating a hypothetical journey based on the user's answers to three questions. Campaign Monitor doesn't require customers to take inspiration from them. 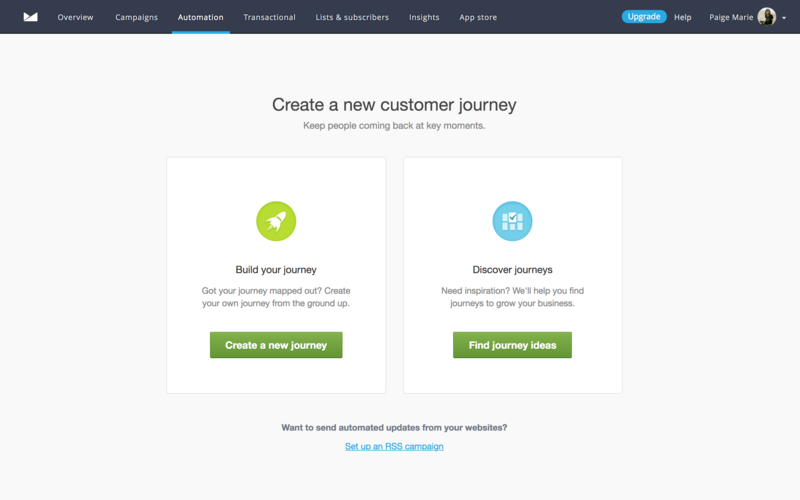 Instead, Campaign Monitor offers the choice to get started on the user's own journey creation, or to find journey ideas. Campaign Monitor keeps the survey brief, and shows users how many questions they can expect. 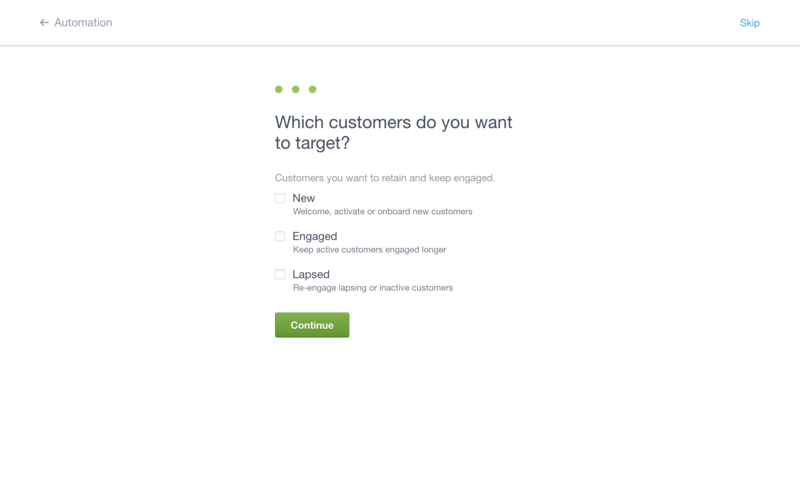 In checklist fashion, the dots above the questions turn green as the user progresses. By allowing users to check as many boxes as they need to, Campaign Monitor can further personalize the results. 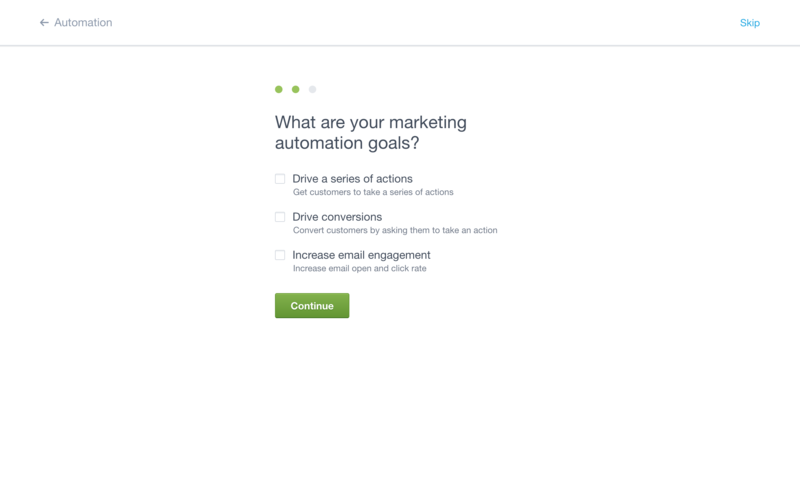 The flexibility in answer choice also indicates that email campaigns are unique to everyone, so ideation around them can get creative. After going through the questions, users are brought to a clear journey flowchart that Campaign Monitor organized. 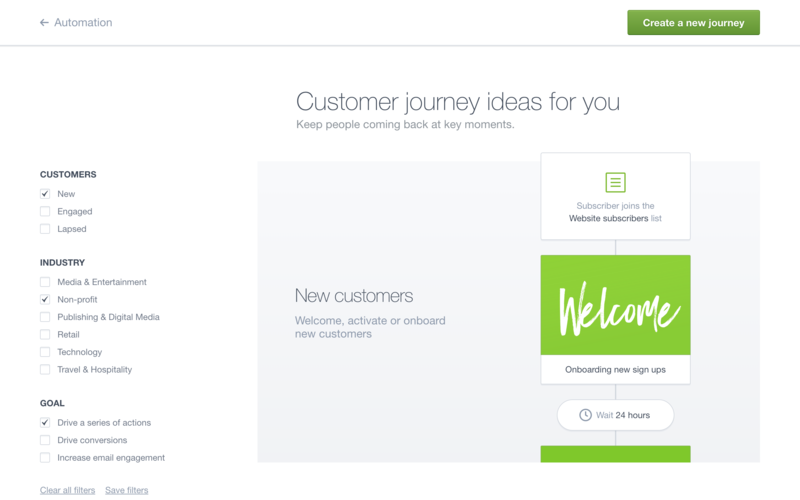 Even if users are somewhat experienced with email marketing, the presented journey might have something they hadn't thought of.